With Maria Butina’s guilty plea yesterday in federal court, the National Rifle Association is implicated in a scheme to influence the GOP and the 2016 elections on behalf of the Russian government. And right as the Mueller investigation is approaching completion. “Russian gun-rights activist” Butina described the nonprofit NRA in a 2015 memo as an organization that “had influence over” the GOP and could act as an unofficial communications link to the next presidential administration. She pled guilty to conspiring with a Russian official to create bonds with NRA officials, conservative leaders, and 2016 presidential candidates. As Vanity Fair reports, she likely will not go down alone. After being held for months in solitary confinement in Virginia, Butina agreed to cooperate with federal investigators, providing information on her boyfriend, Paul Erickson, a G.O.P. 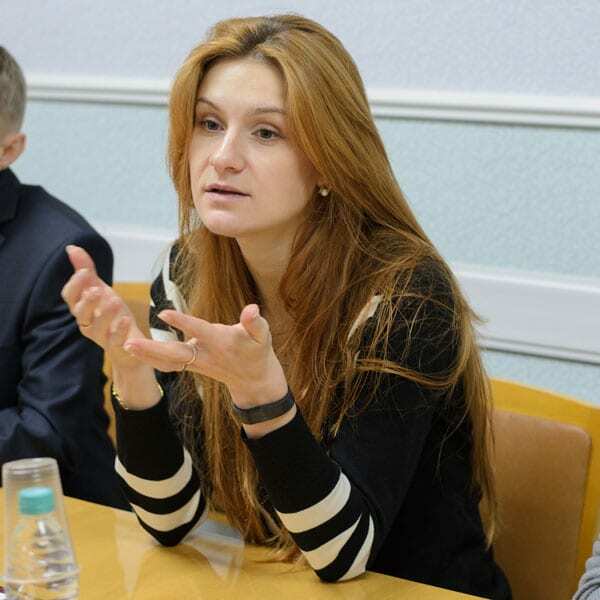 political operative who helped her make connections in Washington, as well as a Russian official, Alexander Torshin, who Butina admitted in her allocution had directed her activities. The NRA has declined to comment on the development. Butina’s involvement with the NRA coincided with that group’s break-the-bank spending on Donald Trump’s election, a big bet that does not currently seem to be paying off in terms of their membership or revenue numbers in the wake of protests against gun violence and the organization’s role in blocking reform, among other things. Long story short, the group’s spending on federal races was $54.4 million in 2016 and $9 million in 2018, and it is in the hole financially even at that. In 2017, the NRA’s political nonprofit arm, which is separate from its charitable arm and its PAC, spent more money than it took in for the second year in a row, according to tax filings and an independent financial audit obtained by the nonpartisan Center for Responsive Politics. Contributions from donors to that group declined in 2017, tax records show. That entity also saw a decline in revenue from membership dues in 2017 compared with 2016, the audit shows. The story of Butina’s involvement with the NRA and GOP politicians is detailed in the Washington Post. It reads like what it is: a bizarre spy story attached to the election of Donald Trump and to a national nonprofit whose single-minded advocacy appears to have threatened the country’s national security.